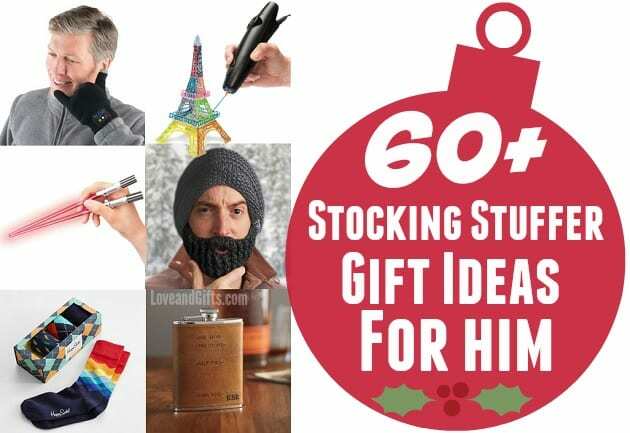 If you already have your husband or boyfriend’s “big gift” picked out to give him this Christmas, don’t forget to pick up some small things that can fit right in his stocking! If you need a little inspiration, we’ve gathered 60+ of the best stocking stuffer gift ideas for men this 2014 holiday season. Take a look over our list, pick the one(s) you think he’ll enjoy, and click on them to learn more… Don’t forget to order in time to receive your gifts to stuff in his stocking!